Chinese smartphone maker OPPO has launched a new limited edition variant of OPPO F3 dedicated to Bollywood star Deepika Padukone, who is also the brand ambassador of the company. 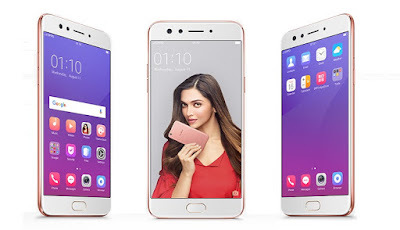 The OPPO F3 Deepika Edition has been launched by Deepika herself at an event in Mumbai, India. 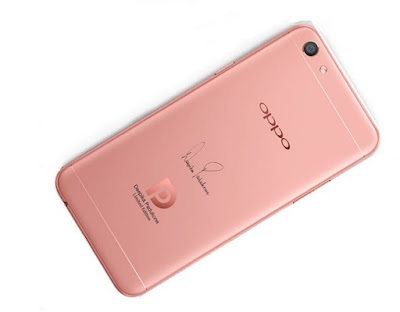 The highlight of the smartphone is Deepika’s laser signature engraved on the back of the phone, along with a logo represented by letters D and P just below the signature, which the company says remind you of your favorite beauty’s around you, always! Being a camera phone, specifically targeted towards selfie lovers, the smartphone comes with front-facing dual camera setup, one with a 16-megapixel 1.3-inch sensor with f/2.0 aperture, and another one is an 8-megapixel camera with a double view wide-angle sensor. Both front cameras are equipped with features like the Beautify 4.0 app, Selfie Panorama, Screen Flash, and Palm Shutter. Other specifications include a 5.5-inch full-HD (1080×1920 pixels) display with Corning Gorilla Glass 5, a 1.5GHz MediaTek MT6750T6 octa-core processor with Mali-T860 GPU and 4GB of RAM. It is a dual-SIM (Nano-SIM) phone and runs on Android 6.0 Marshmallow with company’s own ColorOS 3.0 UI on top. Other variants of the OPPO F3 are already available in the market, but the new limited edition will go on sale starting August 21 via e-commerce platform Flipkart as well as all offline stores across India. It has been priced at Rs. 19,990 and will be available in Rose Gold color option.